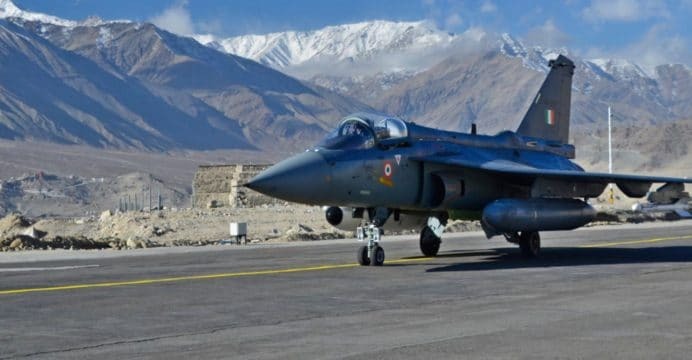 Hindustan Aeronautics Limited (HAL) has begun the process of launching an initial public offering (IPO) in which 10% of the company will be available to stock-exchange investors. HAL announced that it filed a Draft Red Herring Prospectus (DRHP) on September 29 with the Securities and Exchange Board of India (SEBI). The IPO represents a partial divestment from the Government of India in the state-owned public-sector undertaking (PSU). “This is a major milestone towards the listing of the defence PSU which is slated for partial disinvestment by the government of India,” stated HAL Chairman and Managing Director T. Suvarna Raju. Divestment will enable the Indian government to raise money by selling 10% of HAL’s shares, the sale of which will provide the Indian private sector an avenue to engage with PSUs. Until recently, India’s defence PSUs had played the central role in managing defence research and development (R&D) and production. However, under the stewardship of Prime Minister Narendra Modi’s government, momentum for defence procurement is being shifted to the Indian private sector. The first major example of this had occurred in 2016 with India’s purchase of Dassault Rafale fighters. Under the framework of its offset commitments, Dassault partnered with Reliance Group, a major private-sector conglomerate, to implement workshare for the deal in India (using a new 100-acre plant at Nagpur jointly built by Reliance and Dassault). Originally, HAL was supposed to implement the Rafale program. However, this would have happened via the Medium Multi-Role Combat Aircraft bid, which was scrapped due to cost. New Delhi passed HAL over the off-the-shelf purchase as well. The next major fighter import, which is for a new single-engine fighter, will also skip HAL. This fighter bid will be implemented under the Strategic Partnership framework, which will see original equipment manufacturers partner with Indian private sector companies to execute armed forces programs. New Delhi aims for at least 70% of program sourcing to be done domestically. It would be premature to assert that PSU privatization is on the horizon, but public-private ownership may impact other PSUs over the long-term. This could help facilitate a measure of external accountability over the efficiency and practices of PSUs, enabling them to better compete with the private sector and (albeit in partial ownership) support the public exchequer. However, this is theoretical, it would need to be seen in practice in the coming years.